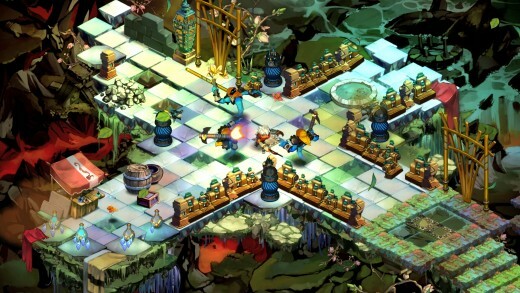 Supergiant Games burst onto the gaming scene last year with Bastion, a new approach to the tried and true dungeon crawler. After numerous previews with unanimously positive feedback from journalists, Bastion became one of the most anticipated downloadable releases I can remember and for good reason. Bright graphics, a soothing soundtrack, tight gameplay and a unique take on narration come together as flawlessly as any of Bastions colorful locales to weave a unforgettable tale of loss and rebirth. You play as a character known only as “The Kid” waking up to discover that the entire world as been destroyed in a mysterious event known as The Calamity. One of the coolest aspects of Bastion isn’t the story itself, but rather how it’s presented. The story is told through a gruff but honey-voiced narrator who fills in the story in real time as you progress and reacts to anything The Kid is doing. As he’s explaining what’s happening, falling off the edge will cause the narrator to immediately add “and then he fell to his death” and follow with “just kidding” once you return. As you journey to restore the Bastion you’ll unravel the mystery of the Calamity as well as the events and people centered around it. I don’t want to spoil anything, but the final decision in the game will have you second guess everything you’ve accomplished. 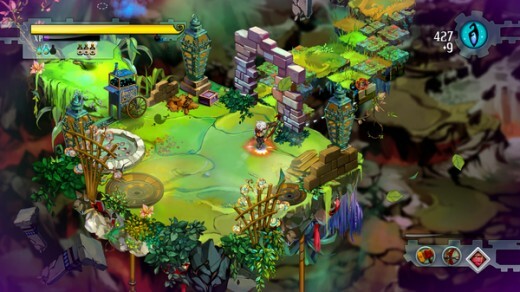 The first thing you’ll notice about Bastion is how damn beautiful it is. The crisp and colorful watercolor art style is gorgeous and is accented with charming character and creature designs. When you’re not gawking at the pretty visuals, the superb musical score is a treat to the ears and is by far the biggest highlight. From pensive ambiance to upbeat trip hop, I can’t think of a more engrossing and pleasing scores in recent memory--I would buy the soundtrack and blast in my car, it's that good. The heart of the self-assembling stages is a core. The more cores you return to the Bastion, the more it begins to heal and expand, creating new shops and other buildings. Weapon forges allow you to purchase upgrades for your weaponry. Distilleries let you equip different potions and tonics to The Kid, each bestowing a unique ability. 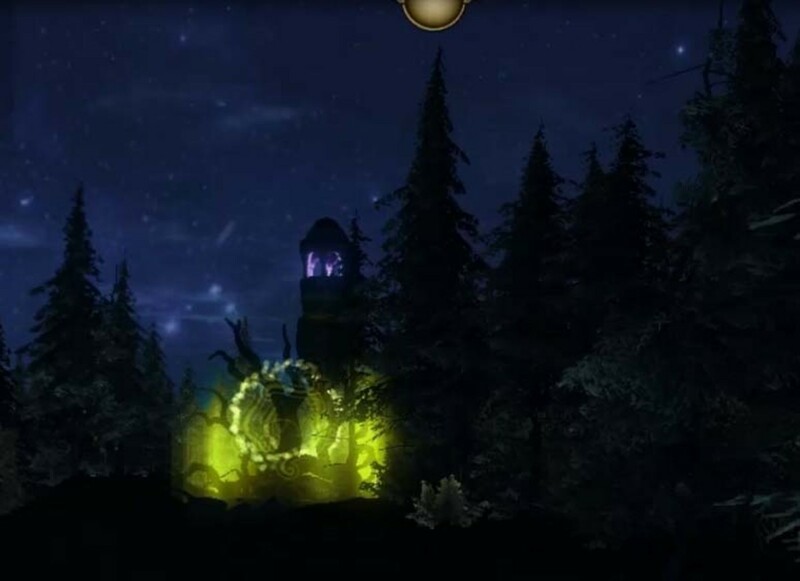 Other buildings such as memorials and temples become available later on and provide other challenging, game-changing perks. In addition to normal stages, several challenge arenas test your proficiency with a certain weapon and rewards you with new parts and attacks. I just wish you could replay stages after you beat them so you can obtain the in-game achievements. 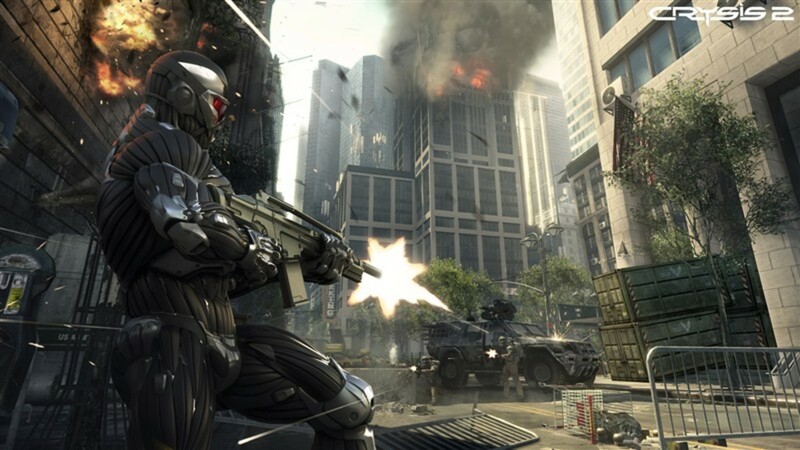 However, the always-welcomed new game plus alleviates that frustration, allowing you to begin the game anew with all of your current stats and weapons as well as any accolades gained from the previous playthrough. 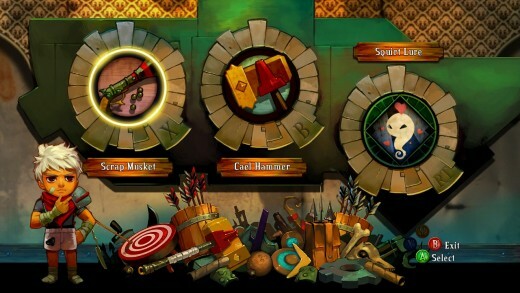 The Kid’s arsenal consists of one main and one side weapon and a special attack. A multitude of combinations can be made to fit your play style or deal with a tough situation. 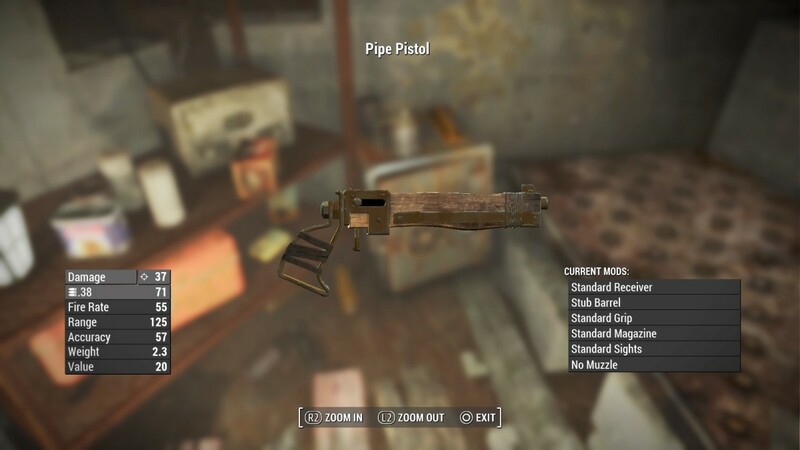 Should you choose the slow but powerful hammer and balance it with the speedy pistols? 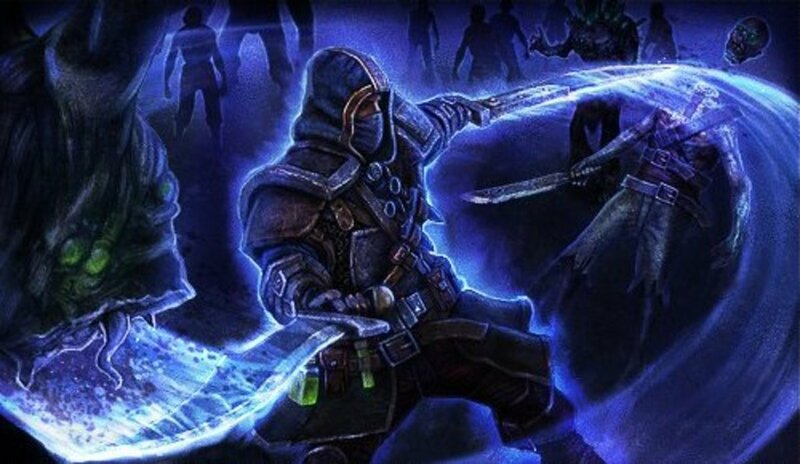 Maybe a spear and bow for more long range focus? While deciding a loadout for the unknown can seem daunting, there was rarely a time I completely regretted a choice once I entered an area. 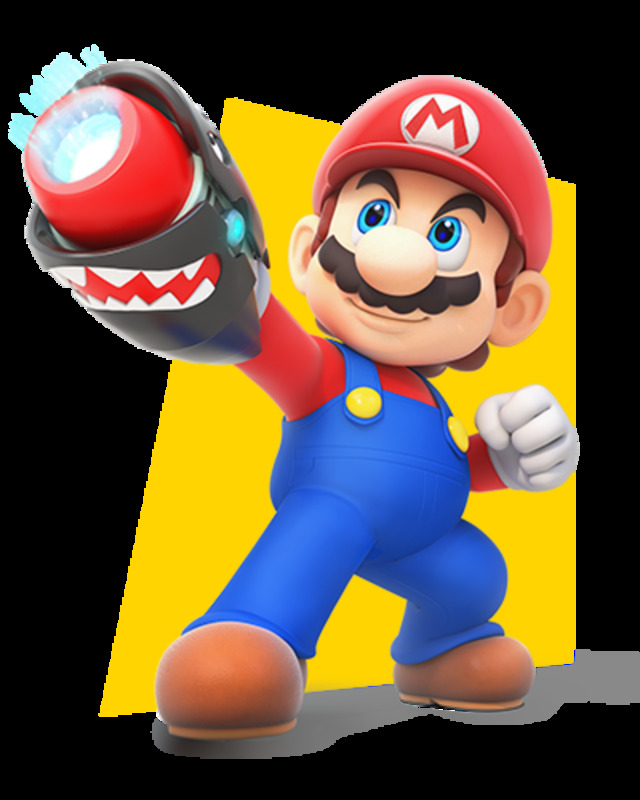 That’s not to say some weapons aren’t better for situations than others, but the game does a great job of keeping stages and enemies balanced for whatever you bring to the table. The game never punishes you for your combat decisions, but if you feel made a bad call certain stages have weapon swap locations to ease any frustration. 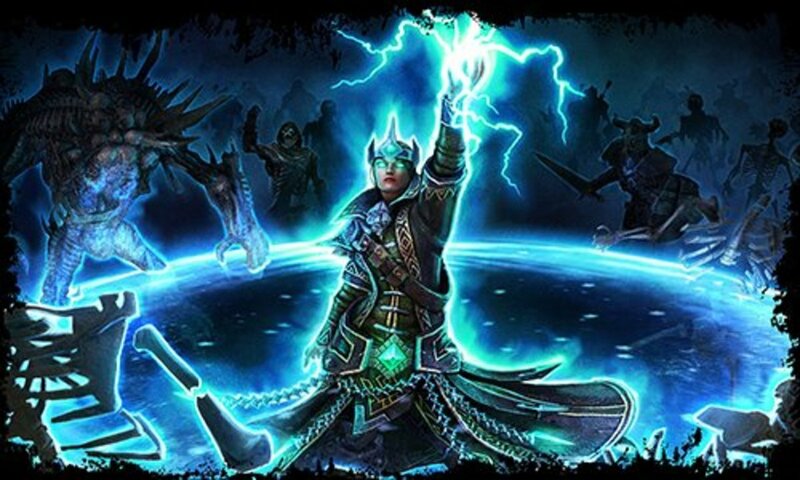 Combat is fun and frantic with destructible environments and a plethora of different enemies on screen at once. Blocking with your shield sends projectiles flying back to their sender and, with the right timing, can stun or destroy enemies. Aiming can be a little jerky though, especially in tense and overcrowded situations where the lock-on wouldn’t pick the right target because of so many enemies being on screen. Quite a few deaths were caused by The Kid refusing to get a shot lined up correctly in time. Despite my issues with targeting, the game a bit on the easy side in terms of difficulty. The challenge does crank up a bit towards the end, but I never truly broke a sweat playing it. 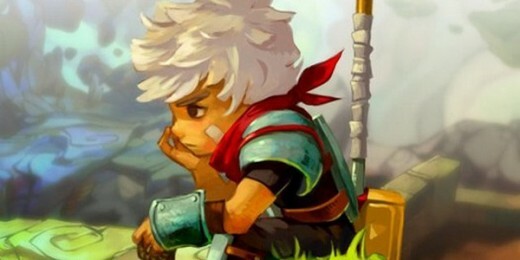 Bastion is one of the finest downloadable releases out there. From the deep gameplay, elegant visuals and innovative approach to storytelling, few developers hit a home run it’s first time at bat like Supergiant Games have. I can’t wait to see what they’ve got up their sleeve next. Thank you for reading! If you enjoyed this hub, please check out my other reviews and video game articles and feel free to comment below!